What value messaging do your competitors use to close deals? How much money is your team leaving on the table during the sales process? What are the right customer targets that can maximize your sales? Mind the gap. Give your team a tool to make sure they’re on the same page as customers. Ultimate Sales Intel is an industry-proven online (& mobile) survey that helps sales team see how their sales solution matches customer expectations before deals close. What is Ultimate Sales Intel? The art and science of Sales are complex. Our science-based methodology allows you to understand what customers expect before purchasing from you so that you can ensure alignment, drive your team's success, and achieve your sales numbers objectives faster than you ever thought possible. Hear unfiltered feedback directly from customers during sales process. What problem points are your customers looking to solve? Increase sales by at least 9.1% more without any new systems. 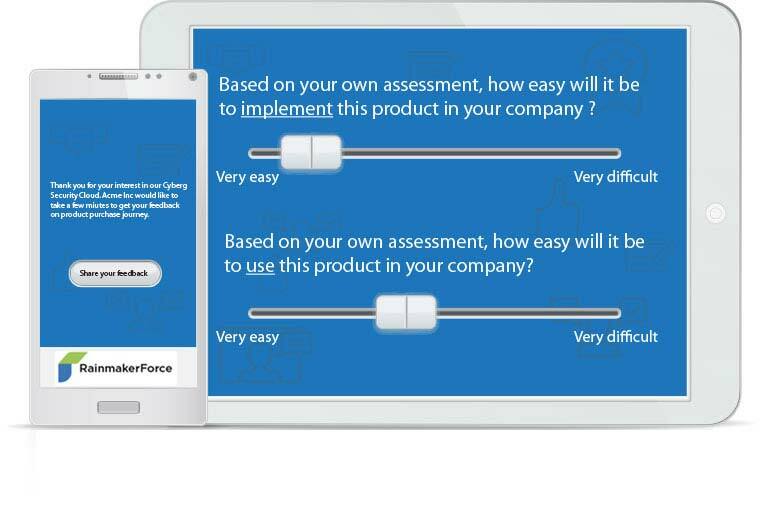 Get every rep deal from Prospecting to "Sign me up"
RainmakerForce gives you 100% control over your survey design, including value selling questions, question types, and how you reach your audience. Knowing your customer's decision factors is key to success in sales. The best way to acquire new customers is to know what they are looking for before you sell to them. 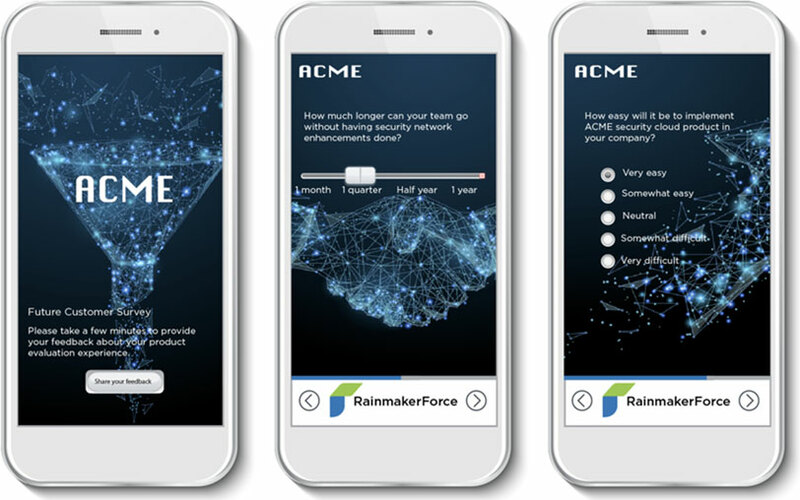 Use RainmakerForce Ultimate Sales Intel to understand how you'll win, why you're different, and what your customers are looking for before they buy from you.